White House press secretary Sarah Sanders confirmed that the Trump administration is monitoring the cryptocurrency market, especially after the historic rise of Bitcoin this year. Bitcoin with its unprecedented growth this year in 2017 has caught the frenzy and excitement of retail and institutional investors alike. 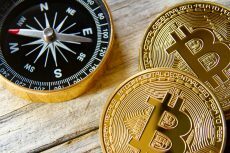 However, the Bitcoin journey till now has been full of whimsical strides as it has been subjected to a lot of criticism coming from famous individual personalities and financial institutions. 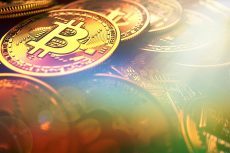 But the continued investor support and backing to the cryptocurrency from time-to-time has provided Bitcoin enough strength to overcome the criticism and surge further ahead to touch new highs. However, Rice said that the Blockchain technology which offers the infrastructure for cryptocurrencies to operate certainly has potential future applications like efficient payment and settlement process and promotion of financial inclusion. 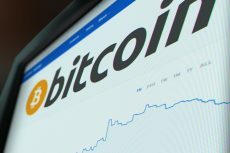 He said that with money flowing into cryptocurrencies, specifically Bitcoin, from U.S. and other parts of the world, the situation is being monitored closely. “On the other hand, we have also alerted for, cautioned, that cryptocurrencies can also pose considerable risks as potential vehicles for such things as money laundering, terrorist financing, tax evasion and so on. 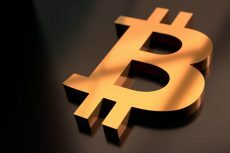 So there’s a need for a balanced assessment of cryptocurrencies,” Rice said. November 2017 has proved to be a crucial month for Bitcoin as a lot of liquid cash from big financial institutions was invested in Bitcoin. The result was Bitcoin prices surged by over 100% during this period and continues to remain strong even today. Moreover, owing to a huge investor demand, the participation form financial institutions has gone up with many of them launching their own Bitcoin-based investment tools the coming year. Such a participation has instilled more confidence in retail investors towards Bitcoin. Recently, the U.S Court has ordered Coinbase – one of the largest Bitcoin exchanges to disclose data of 14000 transactions to the IRS in the past year. Following this, Bitcoin prices plunged by nearly 20% but has soon recovered from its low of $9000 and is currently trading at $11,247.50 as per CoinMarketCap.